"How to retrieve pictures from android phone after resetting? Is there any card data recovery app for Android device?" 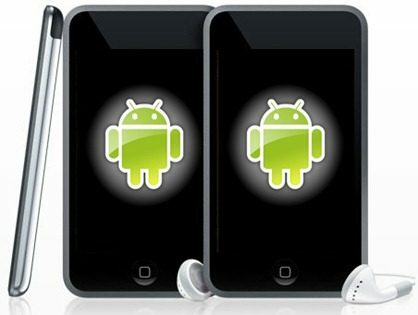 Android is now the most popular and widely-used operating system for mobile devices such as smart phones and tablet. Undoubtedly there must be numerous people trying to figure out a way to recover lost precious contacts, photos, videos, etc. on their Android phones or Android tablets. Good news is that this article just offers a quick solution to Android data recovery. When a file is deleted, it is not really deleted. 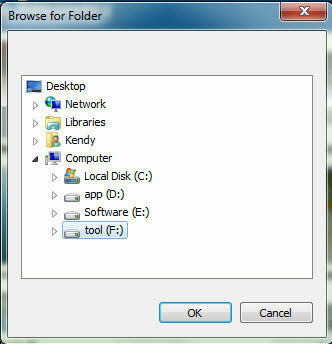 In fact it is simply removed from the file directory in the folder. Even though you can no longer see the file in the folder, the contents of the file are still kept 100% intact at this point. As long as no other data take the space of the file, which means that the file is not overwritten, the file is recoverable. 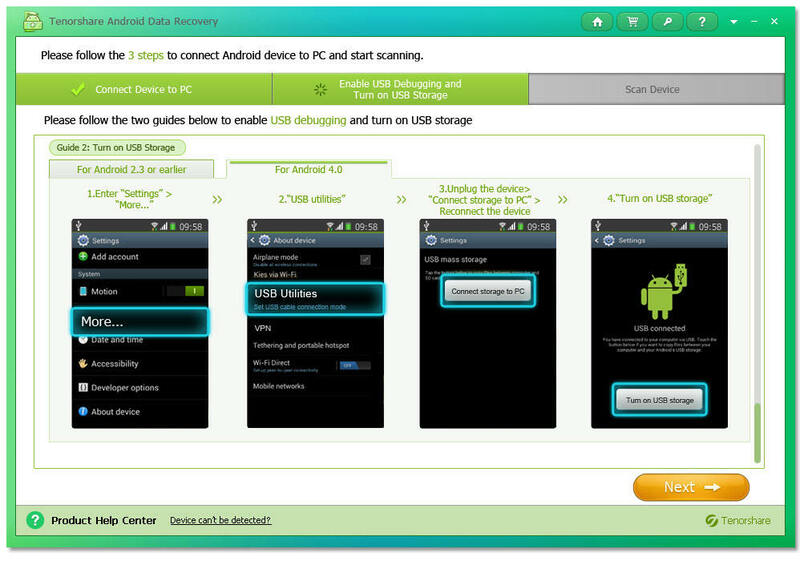 The key to recover deleted data Android is to download an Android data recovery tool. I have tried several such tools and as far as I am concerned the NO. 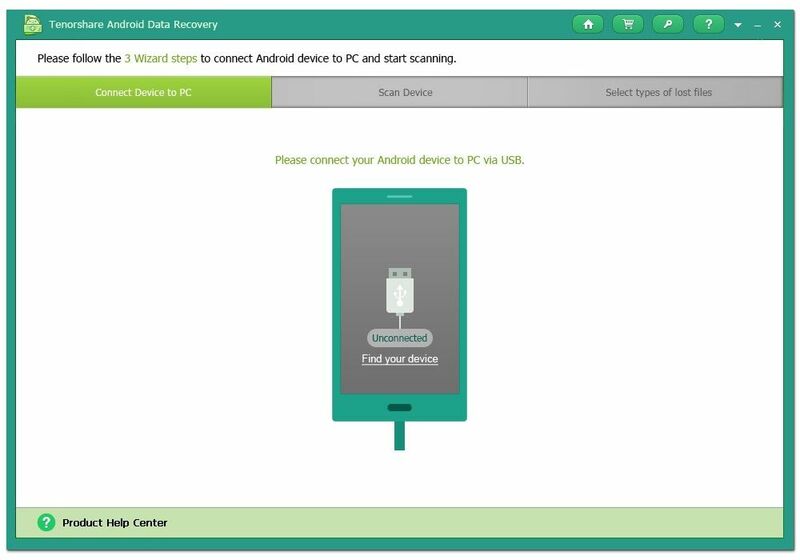 1 easy-to-use and efficient tool must goes to Android Data Recovery, a tool that enables you to recover any contacts, photos, videos, text messages, and call hisotry on your Android device internal memory and SD card inside the Android phone and tablet. 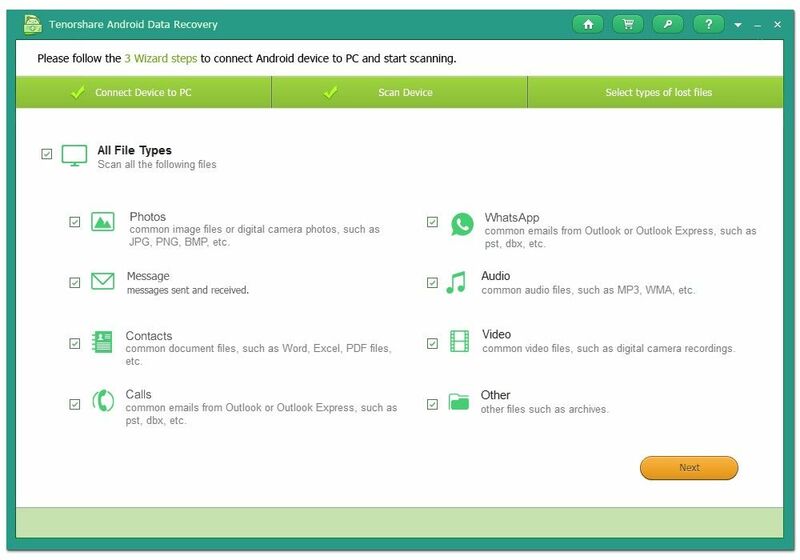 We would take rooted Android phone data recovery as an example to show how to recover data from on Android phone and tablet. It supports all Android brands, including Samsung, HTC, Motorola, Google, Lenovo, and etc running Android Lollipop, Android 4.4 Kitkat and under. It has the Mac version as well. To recover contacts, SMS and call history on your Android phone, make sure your device is rooted. For other data, it is unneccessary to root it. Connect your Android phone to a computer through Android phone USB cable. If you haven't installed USB driver on this computer, this software will pop up installation wizard. 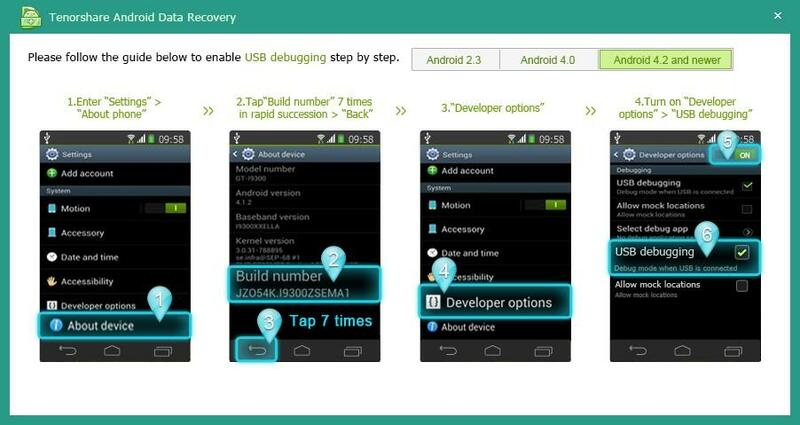 Follow the guide on the software screen to enable USB debugging and turn on USB storage based on your Android version. After PC detects your Android device, click "Next". Click "Allow" on your Android device to allow the program super user authorization when an app. Superuser Request pops up. 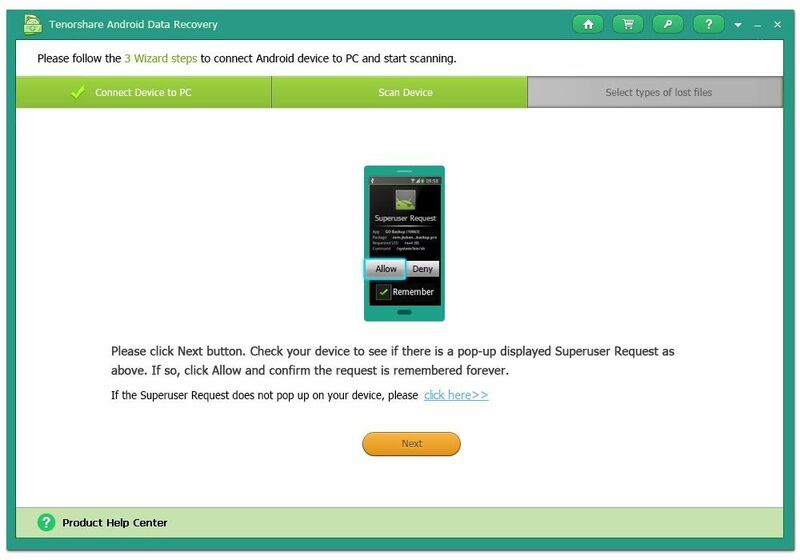 Then click "Start" and select your file type on the popup window to allow the program to scan your Android device to perform Android data recovery. After scanning all deleted photos will be listed like the image below, to make sure you recover the right photo you could preview photos or check deleted call history on Android before recovery. 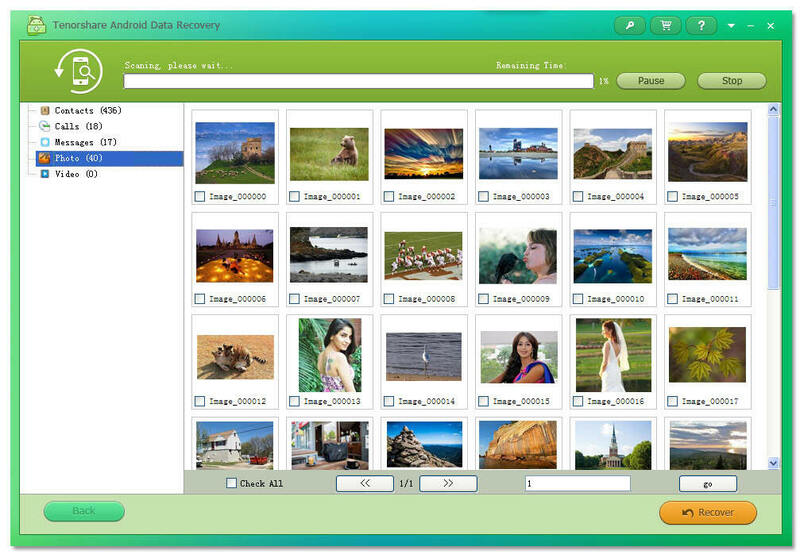 When you find the exact photo you want to recover, click "Recover" and you will get the interface below. For safety of the recovered data, you are then required to save the recovered photo to a folder that is different from the original one.